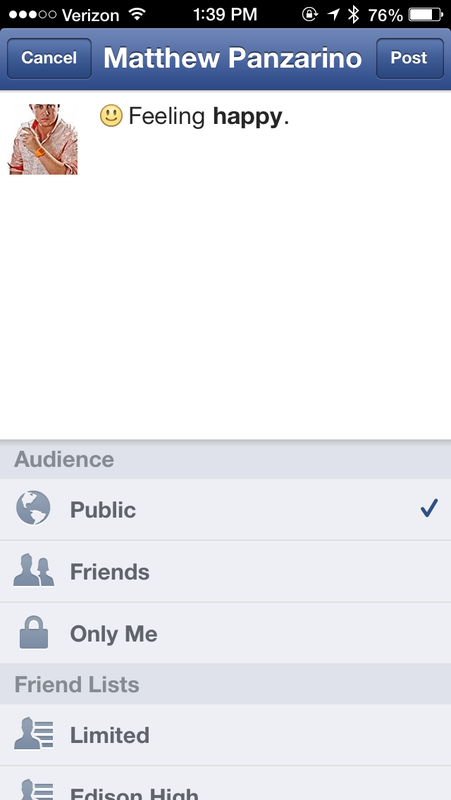 Facebook for iOS has gotten a small update today that adds a couple of nice changes. Foremost is the ability to very quickly edit the privacy of a given post so that it’s visible only to the people you choose. This is accomplished by tapping on the small downward chevron next to any post, which presents you with an ‘edit privacy’ option. 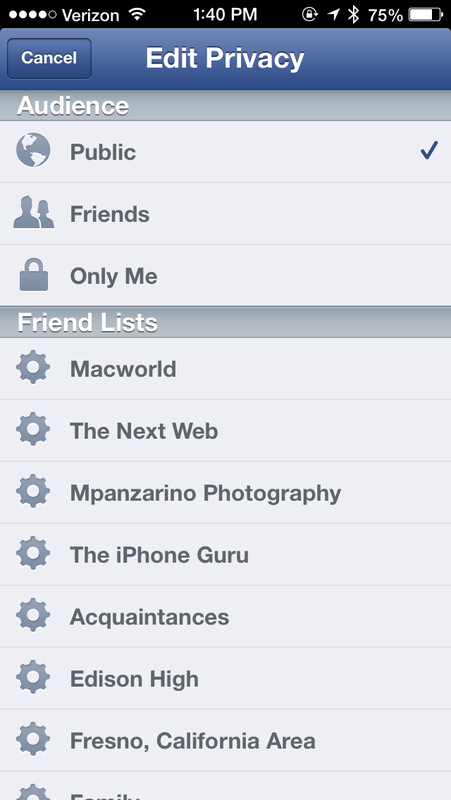 Once you’re in there you can choose to have it seen by friends, family or a particular list. Note that this can also be defined before you post the item as well, it’s just made a bit easier to do it after the fact now. 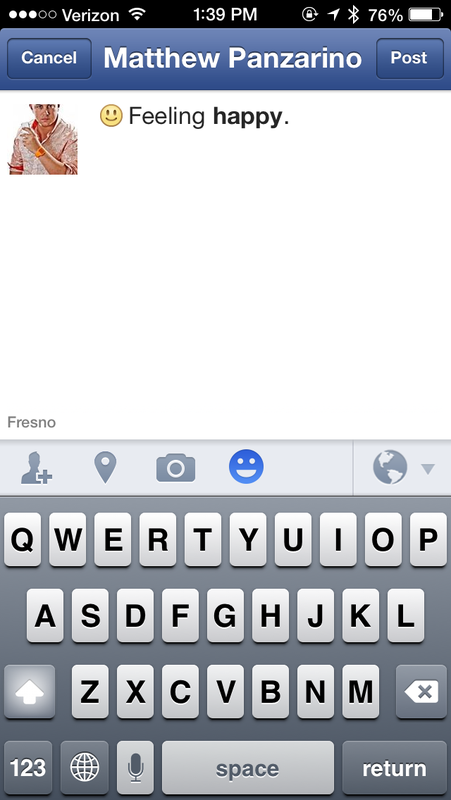 In addition to the slightly easier privacy controls, Facebook for iOS also now supports ’emoticons’ of sorts that tie into their actions feed. 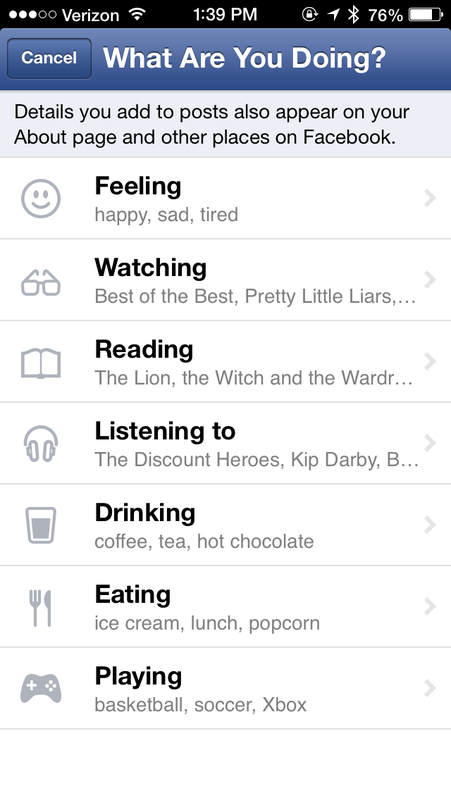 This means that you can post what you’re feeling, reading, watching, listening to, drinking, eating, playing and more. Each option, which is accessed via the ‘what are you doing’ smiley face, leaves behind a short message which is now accompanied by an icon. 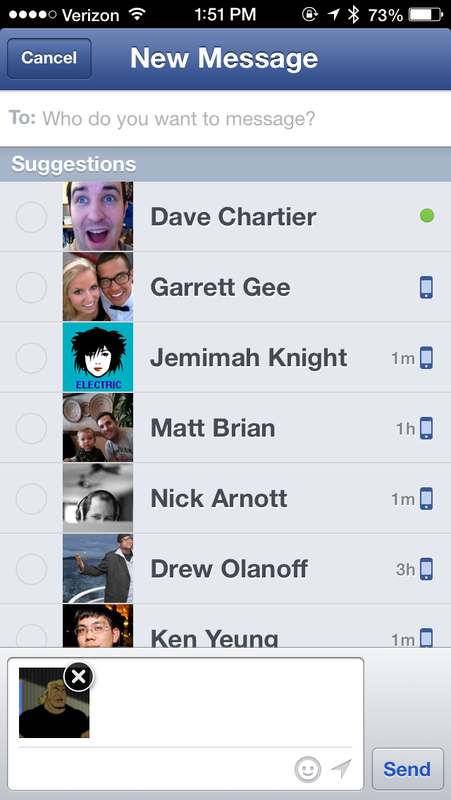 So, if you’re a frequent user of the activity feature of Facebook, you’ve got some shiny new icons to go along with your status updates. You can now also begin new conversations off of photos that you get inside Messages by tapping and sharing to ‘a new message’. There are also a few new Chat Heads animations in the update, including a ‘swipe up’ that shrinks your window as it closes it.